I made my little underwater scene using the Sweet and Salty mermaid stamp set. 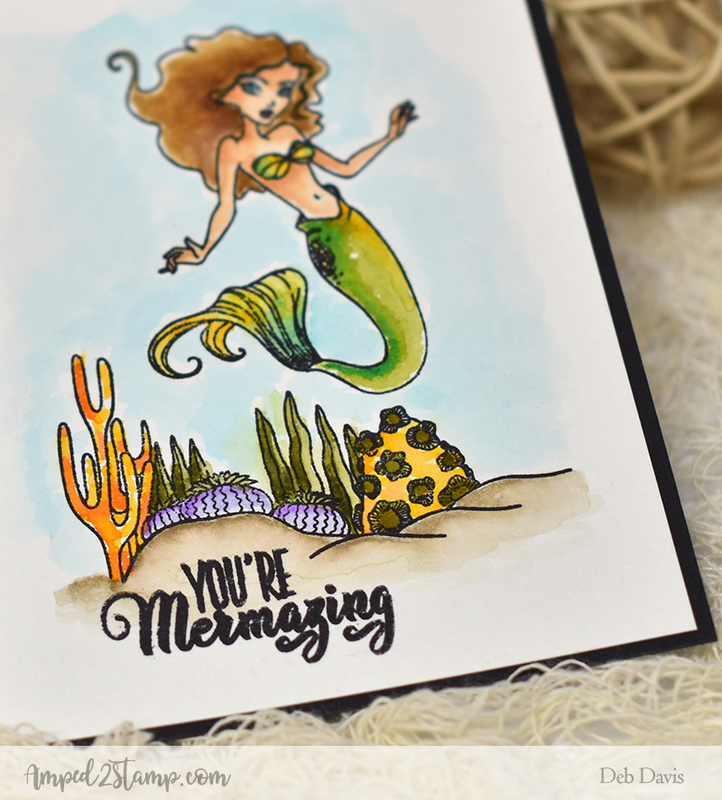 I stamped everything on cold pressed water color paper with Versafine black ink. The coral reef is all one stamp so it makes an easy ocean floor. The sentiment was stamped after everything was dry. 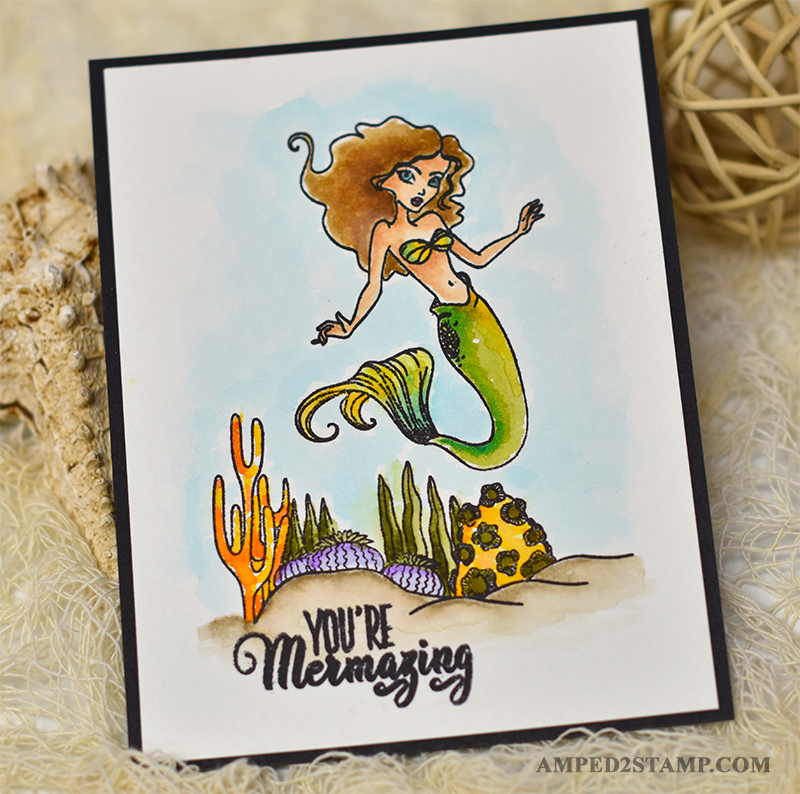 I colored the images with distress ink cubes, which is my favorite way to water color ;o). This was a really quick and easy card, stamp the images in black, a quick water coloring, and matted onto a black card base. Done.